Hoàn Kiếm literally means the "Lake of the Restored Sword"). 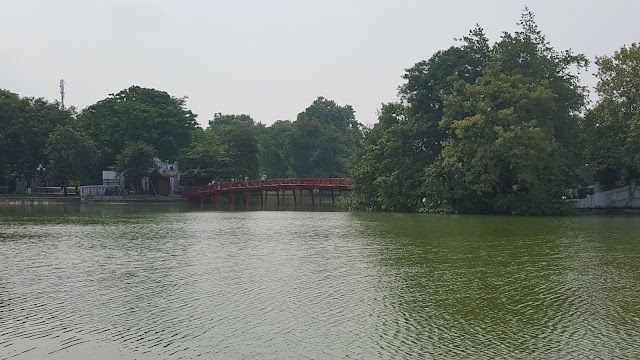 The lake is one of the major scenic spots in the city and serves as a focal point for its public life. 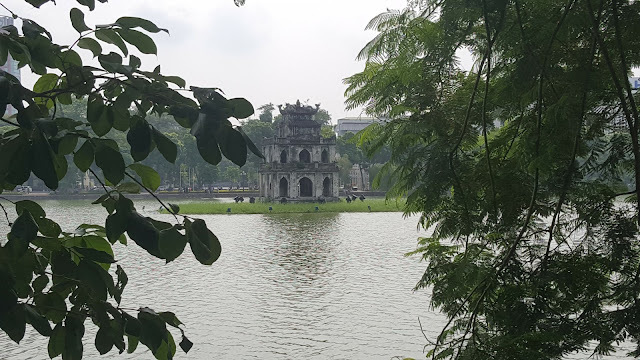 According to a legend that I found on Wikipedia, "in early 1428, Emperor Lê Lợi was boating on the lake when a Golden Turtle God (Kim Qui) surfaced and asked for his magic sword called the Heaven's Will. Lợi concluded that Kim Qui had come to reclaim the sword that its master, a local God, the Dragon King (Long Vương) had given Lợi some time earlier, during his revolt against Ming China. Later, Lợi gave the sword back to the turtle after he finished fighting off the Chinese. 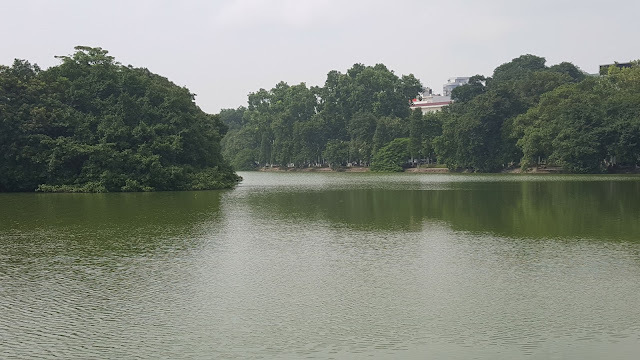 Lợi renamed the lake to commemorate this event, from its former name Luc Thuy meaning "Green Water". 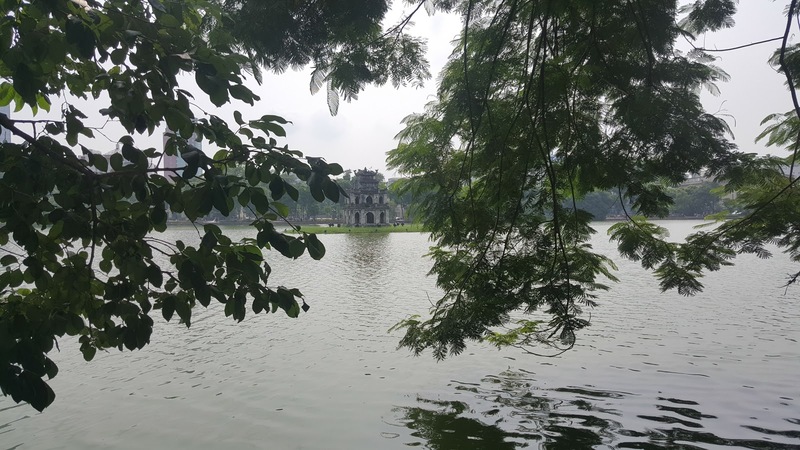 The Turtle Tower (Thap Rùa) standing on a small island near the centre of lake is linked to the legend. The first name of Hoàn Kiếm lake is Tả Vọng, when the King haven't gave the Magical Sword back to the Golden Turtle God." The Temple of the Jade Mountain is also known as the Ngoc Son Temple. The temple was built in the 18th century to honour the 13th-century military leader and war hero, Tran Hung Dao. And that's what probably drew me here!